The text below summarizes the responses so far to our survey about setting up a Learner Development journal. We feel it has already been a useful exercise to garner so many views about this proposal, but we would like to encourage you to carry the discussion further by sharing your comments as replies to this blog post, or emailing your replies to one of us [tjashwell AT MARK gmail.com], or by joining in a discussion at a get-together, for example. The replies were generally positive, but some very adroit notes of caution were sounded by several respondents and we need to consider in more detail how we can carry this idea forward. In that spirit, we would like to encourage SIG members to add their comments to this blog post. Positives: A journal would enable writers to deepen ideas, and communicate with each other, and communicate with people outside the SIG. It would also provide more regular opportunities for members to work together and publish on a wider range of themes; help more SIG members to get involved in writing for academic publication within the supportive environment we have in the SIG; offer professional recognition; and, might offer link-ups for research done at get-togethers. Possible negatives: A journal could be demanding in terms of commitment and people and would need a strong team of editors and production people to keep the publication going and quality high. JALT already has enough journals and conferences, and possible contributors might have journal-phobia. Producing a third issue of LL might be easier for everyone. 2. Concept “Our idea is that the production of writing for the journal should be organised in a collaborative way, where different genres are encouraged and new writers also supported. > Each issue of the Journal would consist of four or five main pieces (length 4,000-6,000 words) around one particular theme related to Learner Development. These might be singly or joint authored pieces. > Each issue of the journal would ideally be edited by two of the contributors to that issue. > The co-editors would help the other writers on the issue develop the pieces to a point where they are ready for publication. > The texts could include conventional research reports, exploratory essays, interviews, dialogues, narratives, etc., or any mixture of these genres. 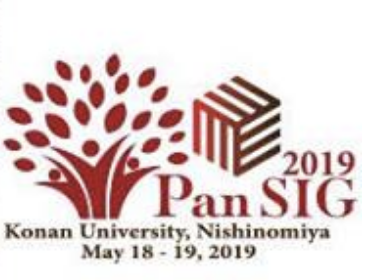 > Groups of SIG members who are interested in a particular theme and who are waiting for an opportunity to work together (or can be nudged into working together) are encouraged to put forward their ideas for an issue of the journal. > A Call for Contributions for any issue of the journal would be sent to all SIG members too. > An important part of the ethos of the Journal would be to nurture less experienced writers and to act as an inclusive medium through which SIG members primarily (but also contributors from outside the SIG) can pursue professional development through writing for the journal if they are so interested. Positives: The responses to the concept were overwhelmingly positive. Respondents like the collaborative practice, a common theme, the mixture of genres, the support for less experienced writers, the length and range of texts (manageable for both the SIG and for readers), the devolved and inclusive approach, the rotating editorship, and the way the editorial teams would function as reading circles, sharing research reading lists and concerns. Development as a core concept and practice of the SIG would only be strengthened. The proposal to have a regular Call for Papers and to be open to outside contributors are also a positive. The list of themes could be included on the submissions page for the journal, as a guide for authors interested in publication. (1) Themes would need to be developed well in advance so that teachers can develop a research plan before the start of their classes. (2) Much will rest on the co-editors’ shoulders for an issue and how they go about leading a small group of writers and responding to their different needs and ideas. (3) There needs to be an oversight editorial committee of sorts to ensure consistency across the board – a support committee of experienced people whose purpose it is to maintain a vision of the publication as a whole: They could give feedback and advice to editors and ensure that each issue makes an appropriate contribution the whole. (4) Dealing with inexperienced writers and researchers can be very demanding. (5) The “support for inexperienced writers” policy needs to be carefully thought through. (1) If the “journal” is not to be a peer-reviewed journal aimed at an academic audience, would it be more fruitful to actually go the opposite direction and more actively incorporate learner voices, and sharing of learning tools? (2) Would the journal consist of a framework of different sections that would remain constant (e.g., feature articles, works in progress, interviews, book reviews, point-counterpoint debate/dialogue)? (3) Should the editors of an issue be contributors too? Who accepts their articles…themselves? (4) How about lengthy articles being sent out for peer review and then passed back to the editors to work on the finer details with the authors? The suggested arrangement gained a generally positive response. Many people agreed that the publications committee should not be involved in editing each issue but act in an advisory role. The arrangement needs issue editors to step forward. Some care needs to be taken in arranging for people to shadow or work in collaboration with experienced authors so that LD nurtures new editors. The publications committee/team should “aim for the timely production of the journal, and probably provide guidance to the issued editors how to encourage/motivate potential writers to submit their written work/collaborate with others on a possible common theme.” It might be possible to have a team of reviewers who review the articles for the editor – for example, each paper might be reviewed by the editor and one blind reviewer. o how copyright is divided between author and platform (e.g. what happens when you put something on academia.edu and then try to publish it elsewhere, is creative commons copyright suitable for academic work etc.). 9A. Would you be interested in writing on a particular theme? o content language instruction and content topics: Art, Music Lit/ Environment/ Media studies/ Peace studies/ global issues and globalization/ Gender studies/ Film studies- building courses around films/ etc. o learner creativity, and how language acquisition could and should make room for creativity across a variety of both macro-skills and content-based/-oriented contexts. 9C. Would you be interested in taking on an editorial role? o I would really like to see this to be worked out and launched. o I’m for short, easy to read articles, nothing heavy. Keep it light and easy. Why not a third edition of LL? o Would it be more fruitful to consider a joint publication with another SIG or even a different academic or educational group? For example, a Japanese-language group? I’m afraid that an LD SIG Journal, especially one with only nominal peer review, might be regarded as a liability by potential authors. o No statement of purpose or scope has been suggested. o Little has been offered as to which competing publications there may be currently on such themes as specialty or general publications that contributors may want to aim for as higher-ranking publications. o Authors may be most concerned in having a publication appear in a certain calendar year more than an academic year. While Dec/Jan offers the longest lead-time, it also overlaps two years. o Why is this needed? 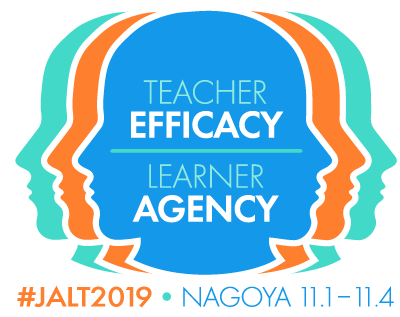 There are so many other areas in JALT that need help so wouldn’t it be better to help in those areas rather than create new work? I love the LD SIG and will be staying a member, but I really don’t think this is needed at all. o If the idea is to help less experienced writers, wouldn’t it be easier to make a working paper section? I don’t really see much need for practice for interviews, etc. o I think it is fine as now. o I think Learning Learning serves our purposes well in the online format in which it is presently. o I do like the Learning Learning journal as it provides a variety of articles, genres, news and updates about the SIG and the JALT activities. I hope it continues to provide its members with a platform where each member is able to contribute a piece of writing. o I like the new members’ voices section. I think Learning Learning could have more informal articles and information than the journal. o Should stay as is. It is a good platform to encourage beginning writers. This cannot be the role of a journal unless we intend to keep it rather low quality compared to JALT Journal or TLT. o I think Learning Learning could remain as it is. o Learning Learning contributes to the sense of community shared by LD members. The informality allows members to get to know one another, engage in social contacts, connect on projects, explore various aspects and new developments in our field, and participate in vicariously in events we are unable to attend. Members are informed of upcoming events and opportunities for professional development. I see LL as the ever-evolving communicative heart/ center of LD-sort of the hub of the wheel. I think LL will continue to perform this function after the Journal gets up and running. o Keeping journal editors and LL editors as separate teams and not overlapping teams may be important. o If there could still be a featured article for each issue. o Perhaps some of the longer pieces from LL could migrate to the journal, and a series of semi-regular columns could be considered for LL, though the mix of reviews, conference reports, and more informal, newsy items seems ideal. o I’d say differentiate the role of the new journal and the Learning Learning by genres because it’s obviously difficult for people outside the SIG to recognize that the new journal is for less experienced writers. Again, putting all research articles and maybe book reviews in one of the two would be better. o I think that Learning Learning can continue as it is. Obviously, longer, more academic-style pieces might be better suited for the journal, but there is no reason why someone shouldn’t publish such a piece in LL if they want to and if the LL editors feel it is appropriate. o Some of the articles that are published in Learning Learning could be published in the journal. Other than that Learning Learning should remain as it is. o more discussion-based articles on interesting research on learner autonomy. o Here is one thought about the section of LL devoted to research articles: re-title it as a working papers section, where research in progress can be published, but with a link – say, to a Google Doc – where LD members can give feedback on the article, along with suggestions for further sources of research to the writer, that may help the writer then expand the article to journal length and quality. o I would be excited to see the profile of LL raised; I think having a dedicated annual journal would facilitate this. It would be all the inclusivity and great ideas of the current journal, with a slightly more formal feel. Just my feeling. o I think the LL publication could be included in a modified form in the journal. It seems smarter to create one bigger publication instead of keeping separate projects that may use up too much energy/time available from LD members. o possibly some of the Learning Learning updates would be more timely on Twitter or other casual formats? I feel Learning Learning can be trimmed down a bit more and share its role also with the SIG website/Facebook and SiG mailing list. o I think a journal is opportunity for more serious publication. LL should remain a less formal outlet, and perhaps transition away from being a downloadable PDF and towards being a dedicated edublog. Perhaps some of the ideas currently being considered for the journal could be applied to LL such as themes.